A week or so ago, some garden jobs like spreading the compost heaps on the beds as a mulch, did not seem urgent - all that changed when the mild days of the last few weeks caused an explosion of growth and bulbs are popping up everywhere. I showed pictures, in a previous log, of us cutting back the trees and shrubs in the garden and shredding the prunings, now it is time to spread these composted shreddings. Top left shows the bulbs just starting to push through and on top right is me carefully spreading the mulch so as not to damage the newly emerging growth, if we left this task any longer it becomes a nightmare trying to avoid damaging the more advanced growth that the bulbs would have. 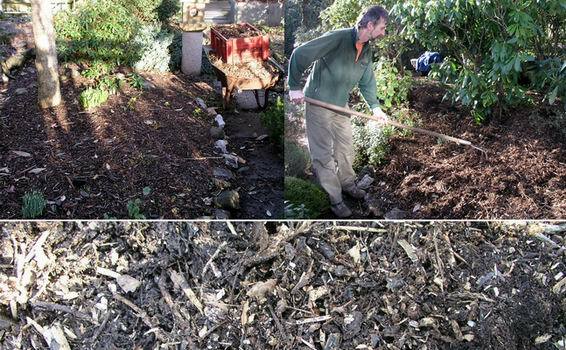 The picture along the bottom is a close view of the composted shreddings that we are spreading. This is a real horror picture, I am sorry if it upsets you, an emerging erythronium shoot that has been heavily chewed, probably by a hungry snail brought out by the mild weather. It is not just the plants that start to get more active in mild weather but all the pests that attack them are also making an appearance. I have spread slug pellets in the frames and I have also been spraying with insecticide in the bulb houses to combat these pests early before they build up into damaging numbers. 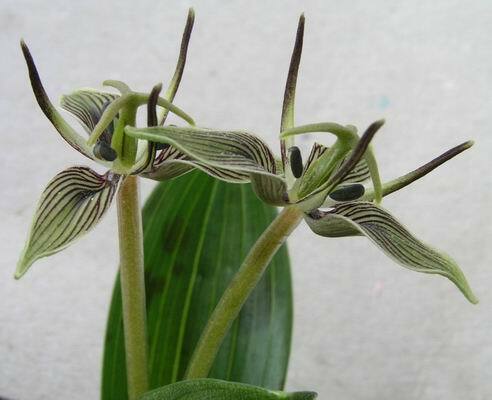 Also growing in a completely open frame and just coming into flower is Scoliopus bigelovii, this lovely dwarf relative of the trilliums that grows in the red wood forest edges in Western California. 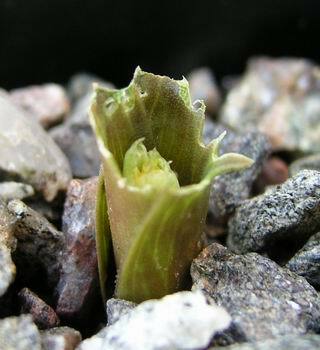 It is very hardy and we will have flowers for months from the various clumps in the garden. 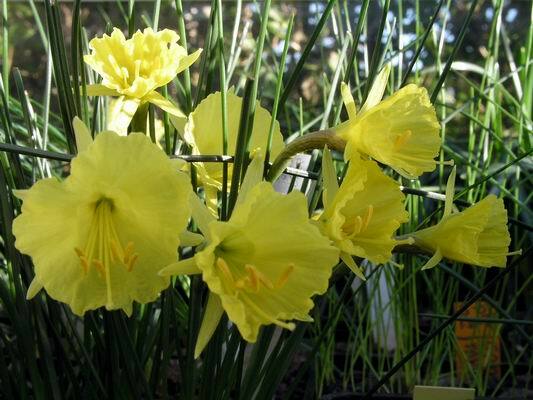 Back under glass in the bulb houses there are still plenty of the hoop petticoat narcissus to come and I will look at more in the coming weeks but this is a very yellow form of N. romieuxii with the collection number JWB8913, one of the many wonderful introductions by John Blanchard. 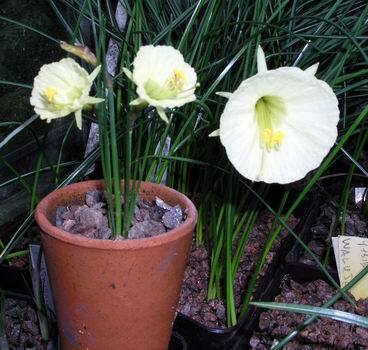 This picture illustrates the variation in the size of Narcissus romieuxii, with the flower on the N. romieuxii zianicus being the same size as the pot that this seedling form that we rescued from the sand plunge. 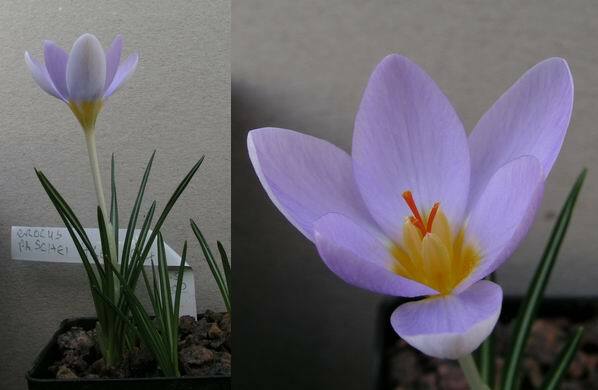 Now back to the crocus another couple of views of Crocus fleischerii to highlight the exquisite beauty of crocus flowers. The shape of the style (the bright orange bit in the centre) is very variable between the species and is one of the main diagnostics used by the taxonomists when naming them. 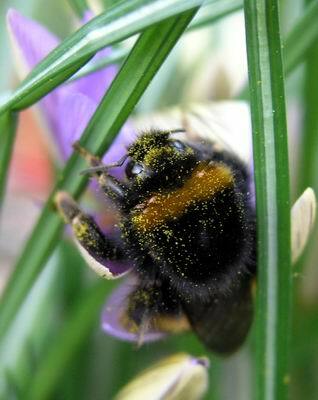 Many of the species are held distinct by subtle variations that are will not be noticed by most gardeners, unless you do a detailed study of them. It is when you grow them in pots and are able to view them at eye level that you can appreciate the beauty of them. 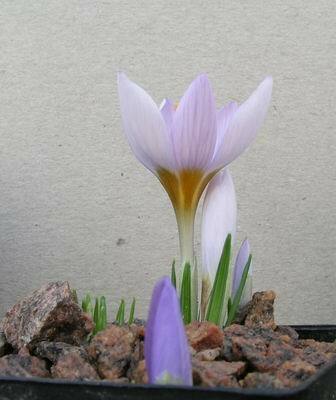 In this view of Crocus rujanensis you can see clearly the yellow throat where the tube meets the petals, another feature used to help define the species. 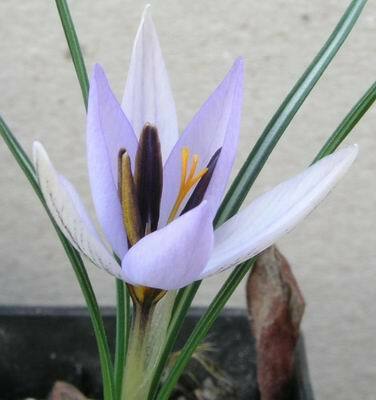 As if the different species are not difficult enough for the gardener to sort out, many species have a long list of further divisions within the species, sub species, like this form of Crocus biflorus which because of the black stamens is given as ssp nubigena. 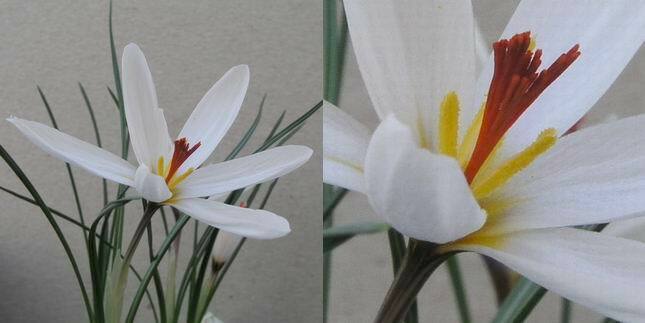 Once they split open they reveal the yellow pollen found on other crocus, the stamen on the left is just starting to split open. 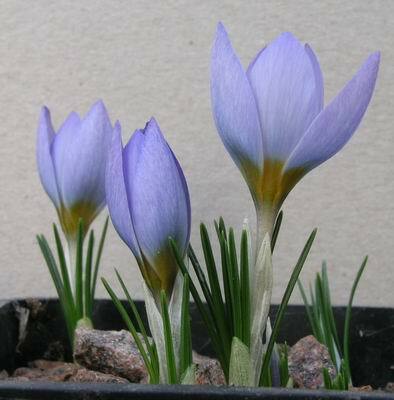 Crocus abantensis has not been widely available for very long but has to be one of the most beautiful of the spring blue crocuses that there is. This being Scotland the mild weather does not last for long and we have had very icy blasts sweeping in from the North bringing the frost and snow back again. It does not seem to bother these Crocus gargaricus which in the wild grow by the melting edge of the retreating winter blanket of snow.